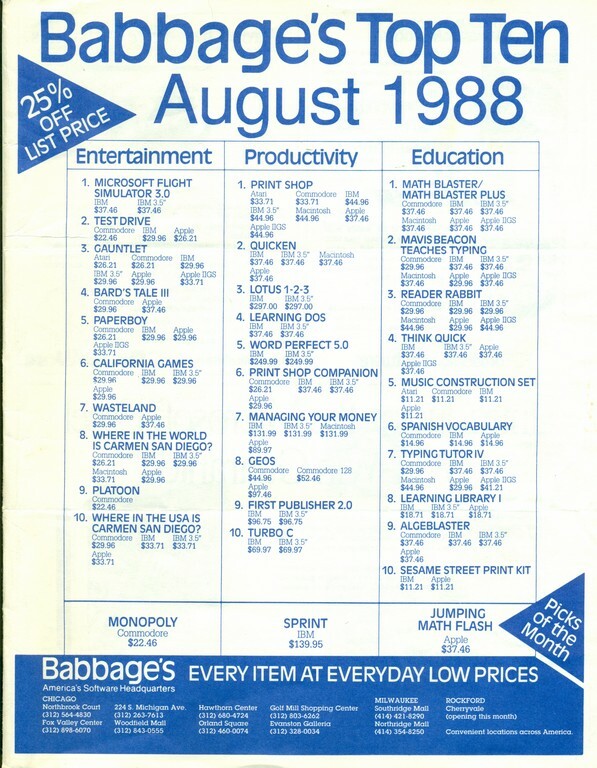 Here’s a flyer recently discovered in a box with other miscellaneous papers: a Babbage’s flyer from 1988. Of note is Microsoft Excel and the verbal war against Lotus 1-2-3. Also, the California Raisins had a game, for reasons unknown. Ultima V is listed for $47 which surprised me… that’s $92.60 in today’s money.